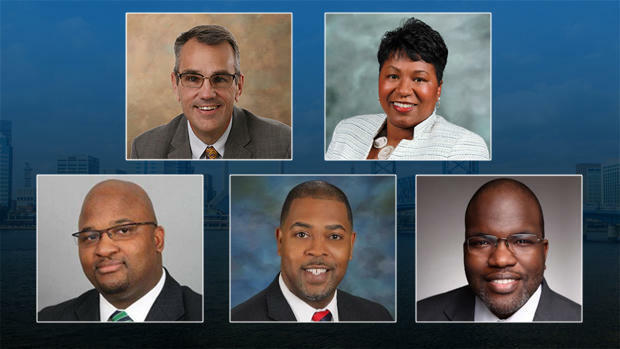 Left to right, Sara Bravo (Principal, Englewood High School), Derek Trucks, Susan Tedeschi, Vasco Eagle, Kiyah Wilcher, Michael Peterson, Stacey Johnson (Assistant Principal, Englewood High School), William Eagle, Daniel Reed (Band Director). 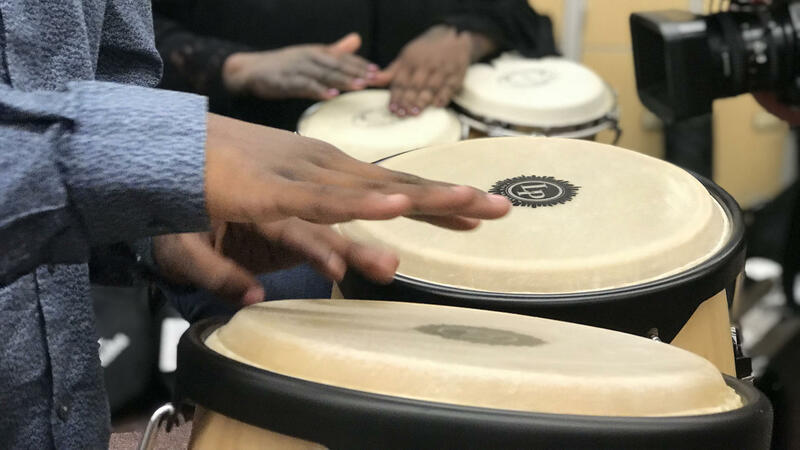 Englewood HS Sr. Vasco Eagle plays conga, accompanied by fellow Sr. Kiyah Wilcher on bongos. 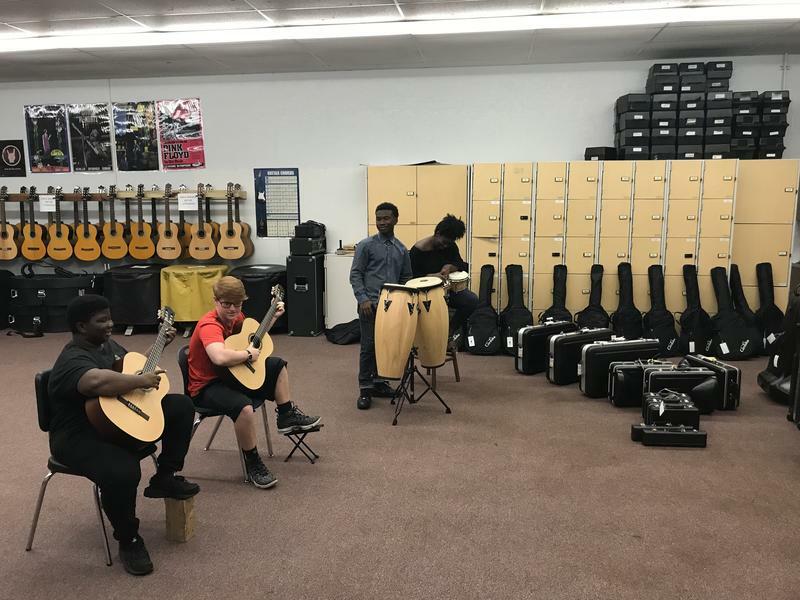 The donation, which includes guitars, wind instruments, drum sets, and more expensive instruments like tubas, sousaphones, and euphoniums, was made possible through Mr. Holland’s Opus Foundation. The foundation was created in 1996 by Michael Kamen. It’s named after the 1995 film Mr. Holland’s Opus, which starred Richard Dreyfuss. 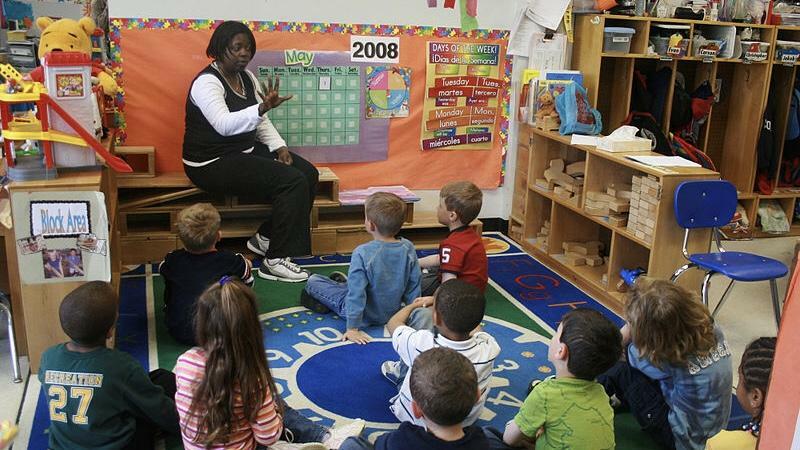 The movie looked at the profound effect a dedicated music teacher had on generations of students. Englewood High School Band Director Daniel Reed said that thanks to this donation, every student enrolled in a music class at the school will now be able to start playing during the first week of school. 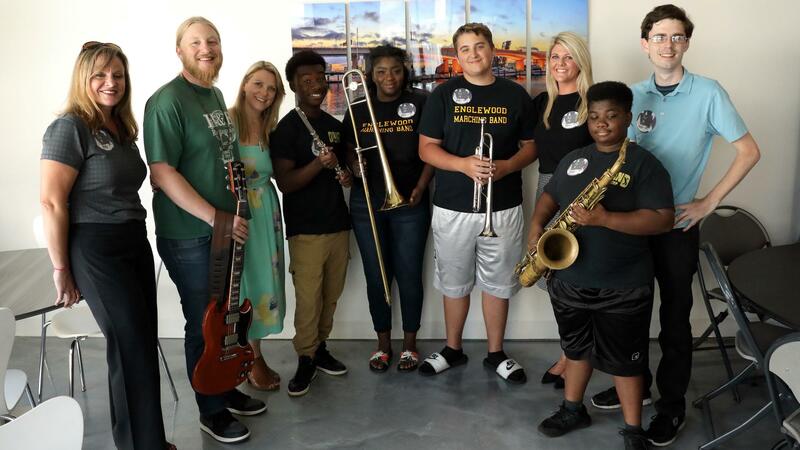 On top of the donation, the Grammy award-winning 12-piece band - led by the husband-and-wife team of guitarist Derek Trucks and singer/guitarist Susan Tedeschi - invited students and staff to their hometown performance at Daily’s Place earlier this summer. The special guests were allowed to go backstage to meet the band, where they were given the news about the donation to their music program.